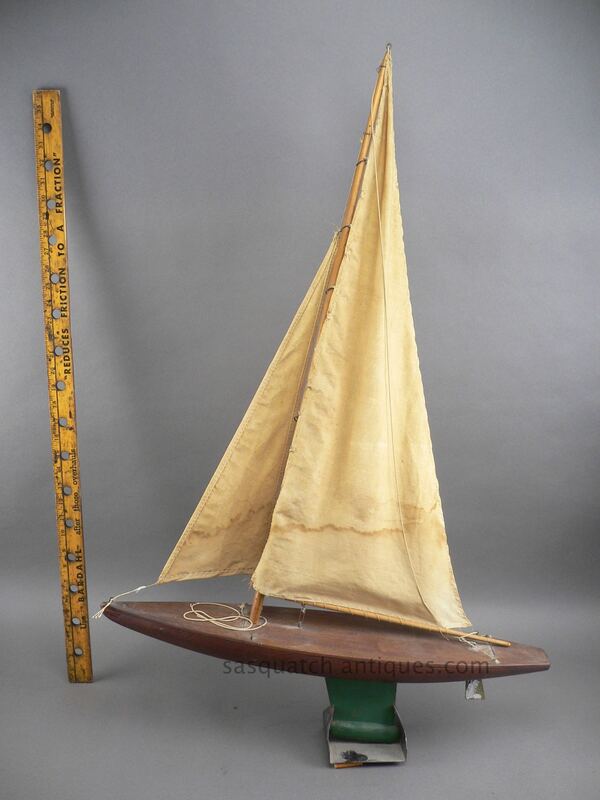 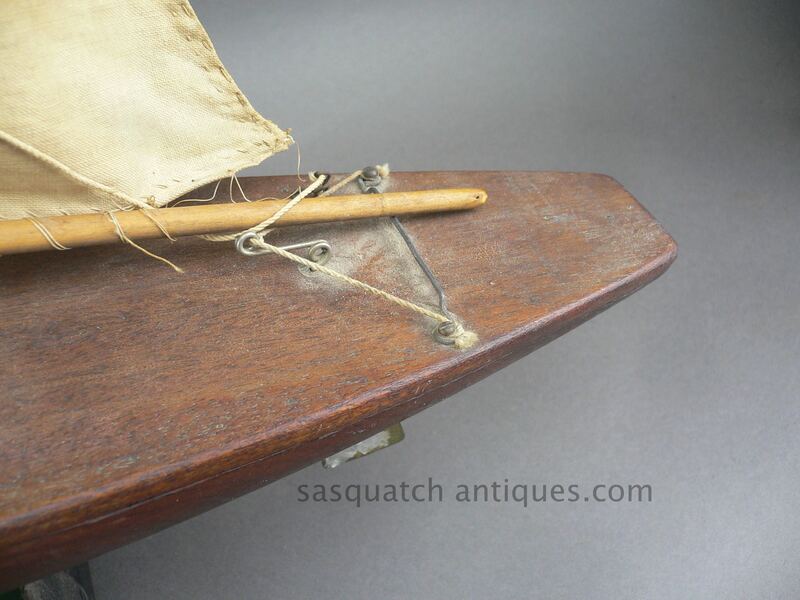 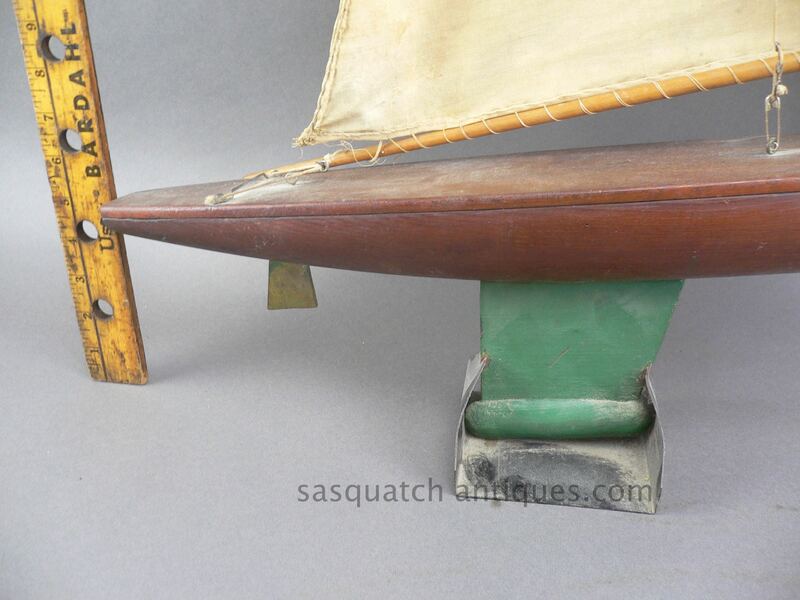 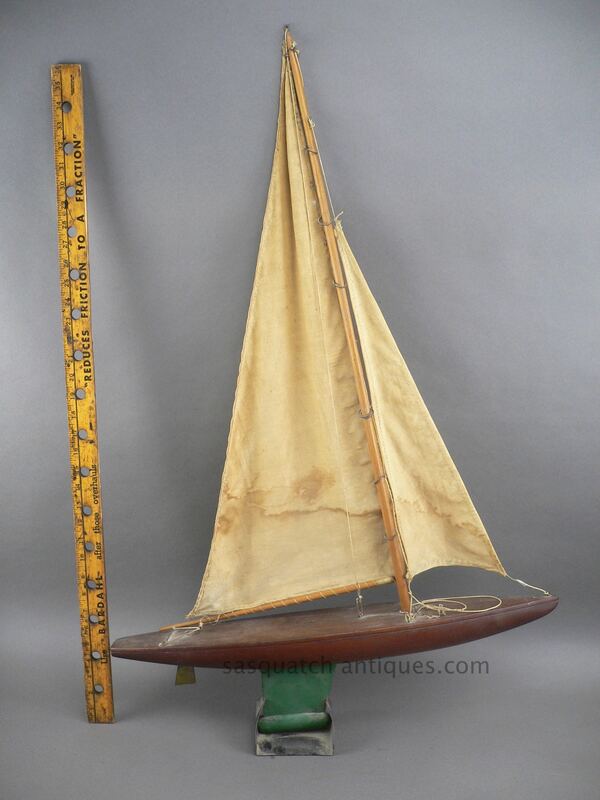 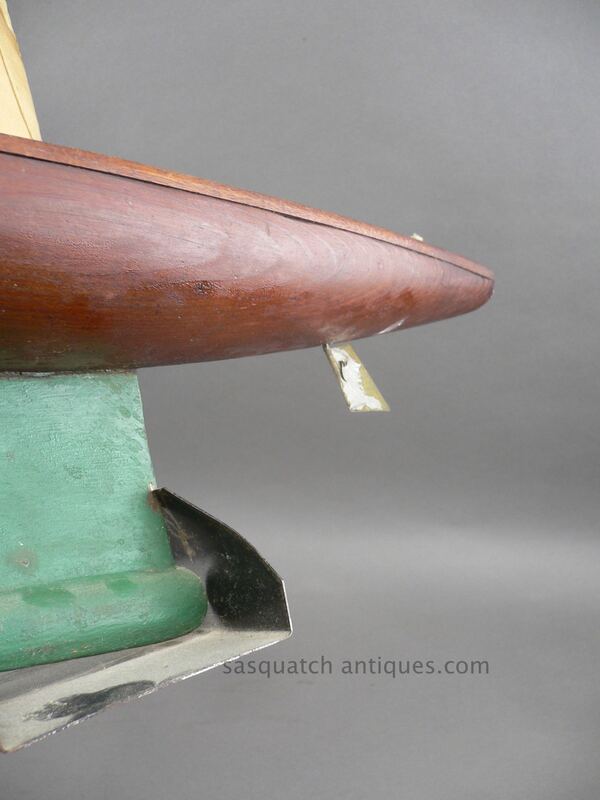 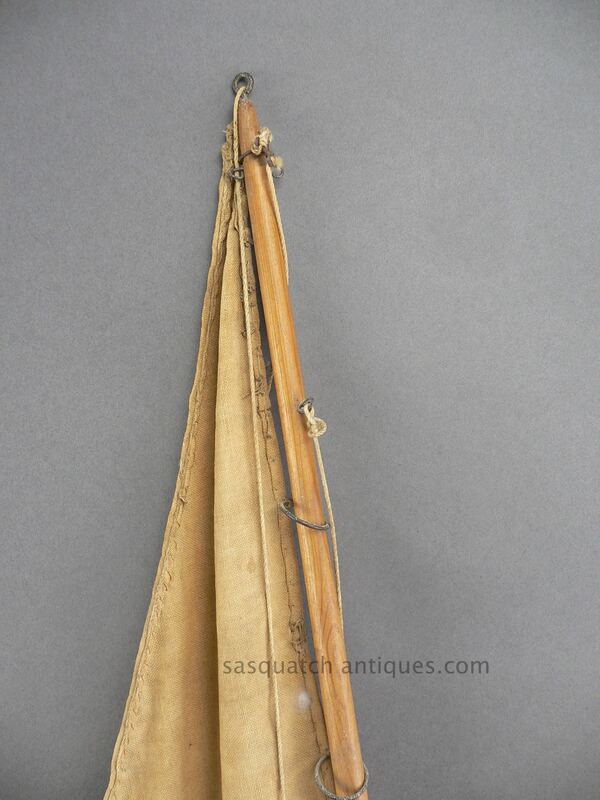 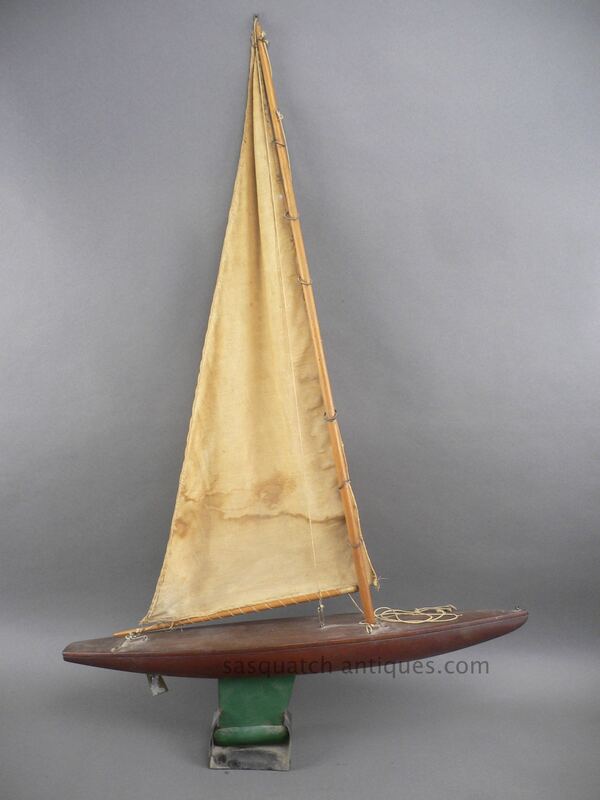 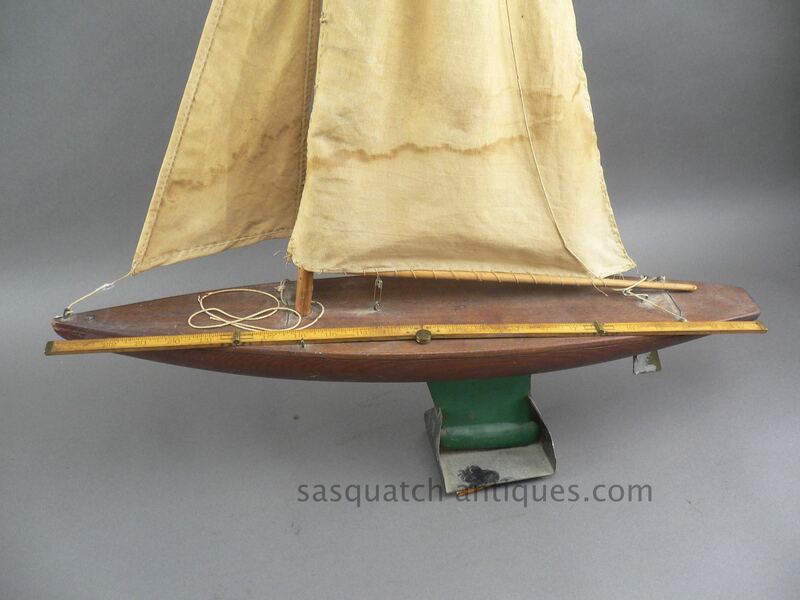 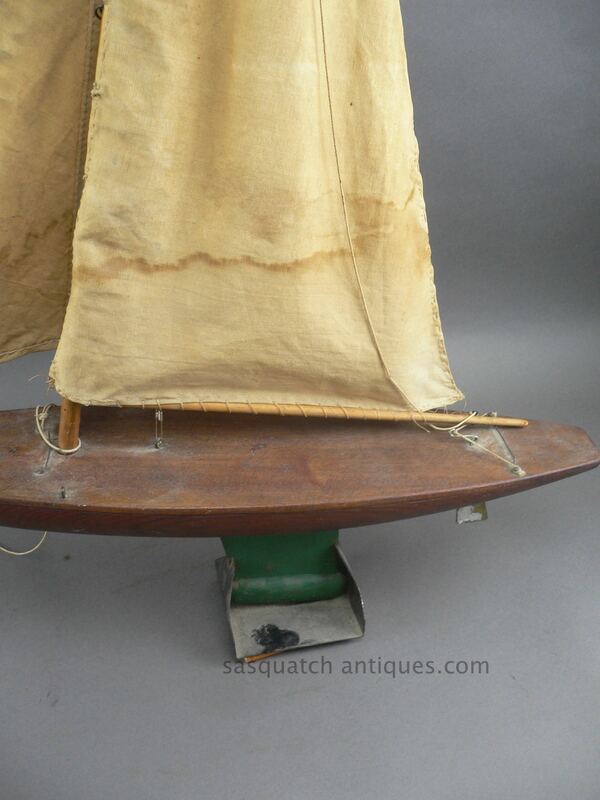 Charming vintage handmade 24" pond yacht with sails folk art, very good condition overall some slight water stains to the sails. 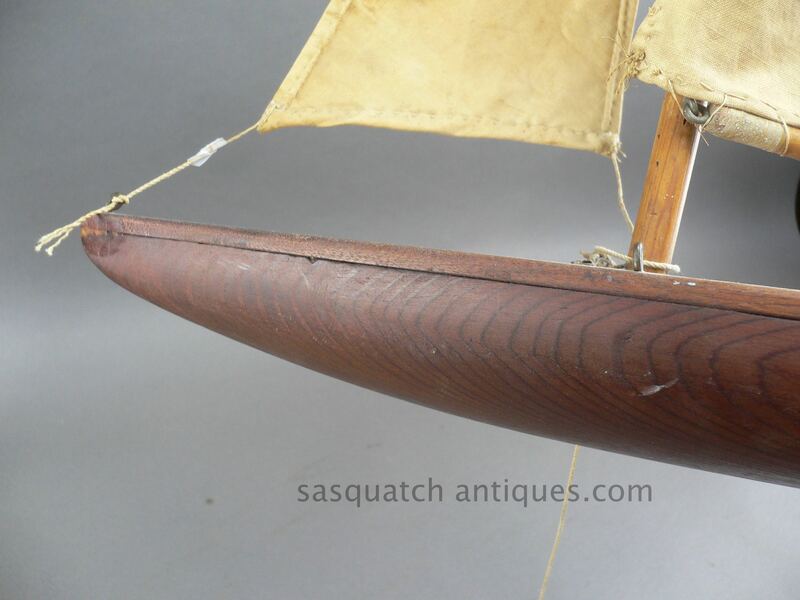 This will come partially disassembled for shipping. 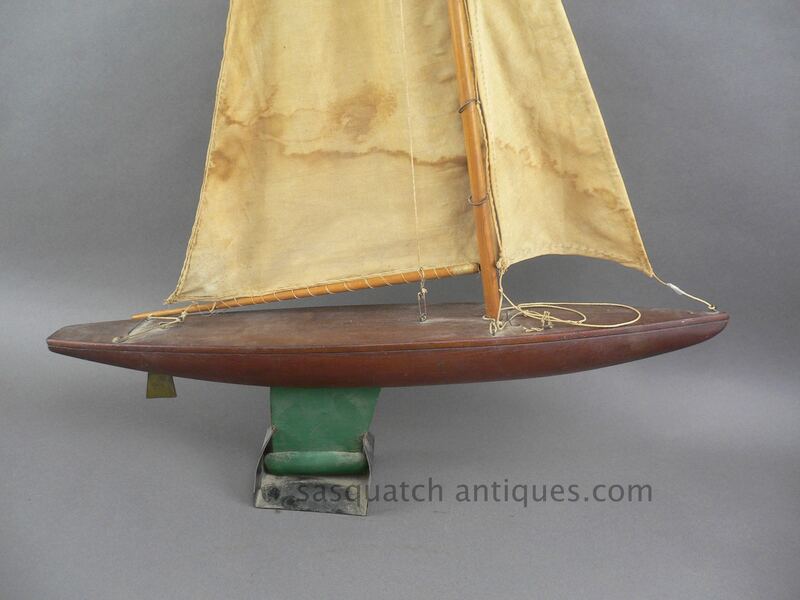 For international shipping please contact me for a quote.